A beautifully handcrafted Wine bottle and Glass caddy or rack. These were made by my husband, Russ, a master woodworker of 30 years. This wine caddy is made from Cherry hardwood and acrylic. 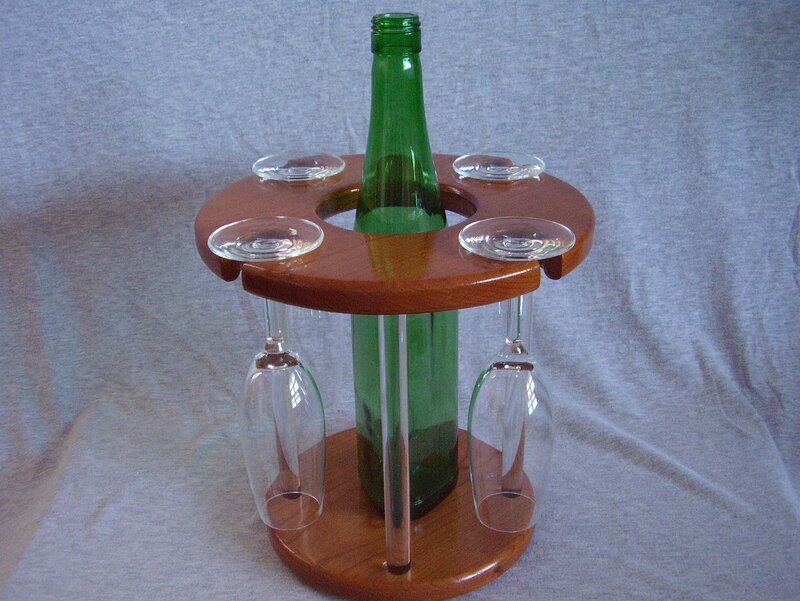 A beautifully handcrafted Wine & Wine Glass caddy. These were made by my husband, Russ, a master woodworker of 30+ years.We have sold hundreds of these and our Napkin-Salt-Pepper caddies throughout the years. 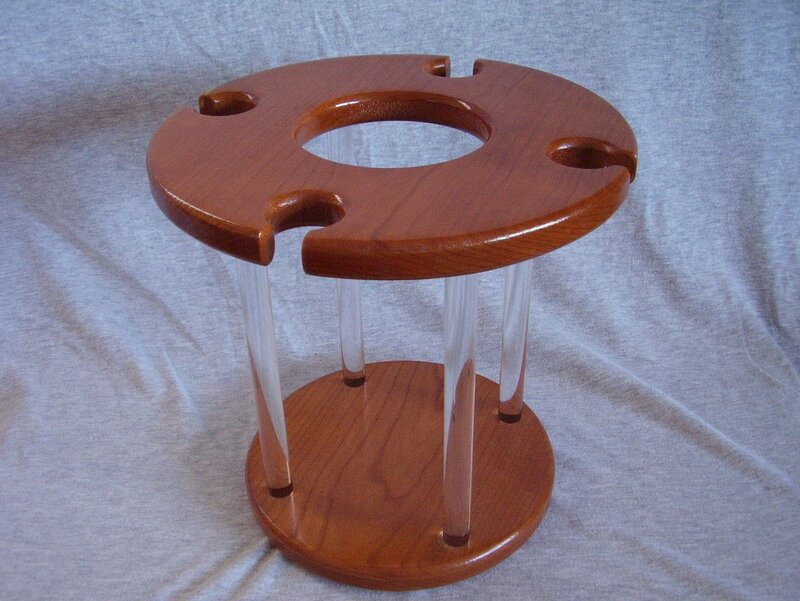 Wine caddy is made from Cherry hardwood and acrylic. The measurement of the holder is 10 inches tall, the diameter of the bottom is 8 inches and diameter of the top is 10 inches. The center hole for the bottle will hold bottles up to 3 3/4 inches. The side cuts for glasses will fit glasses up to about 9 inches tall and the bowl of the glass about 3 inches in diameter. 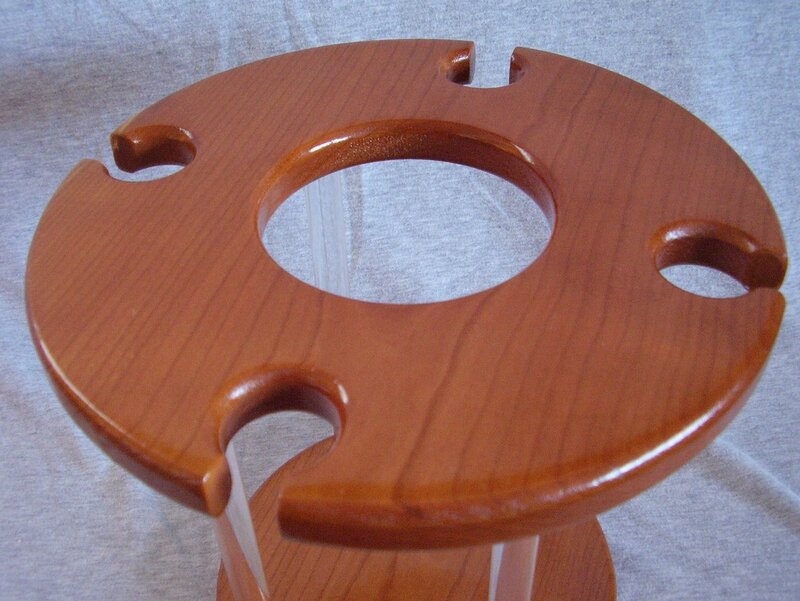 All wood parts are finished with spray lacquer. The bottom has 4 felt feet. Caddy is stationary and does not swivel. 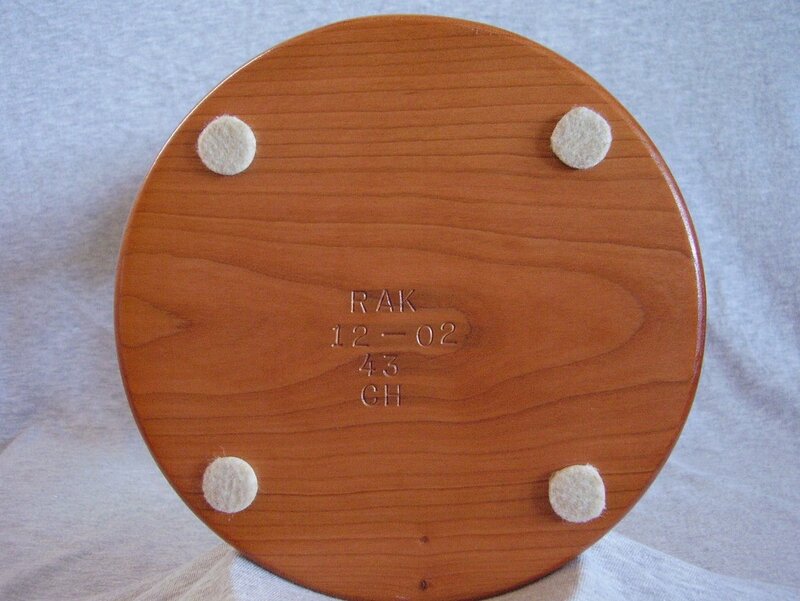 The impressed marks on the bottom are representative of our woodworking business, type of wood used and date manufactured. Sorry, wine and glasses are not included. We have several variations of wood types available.